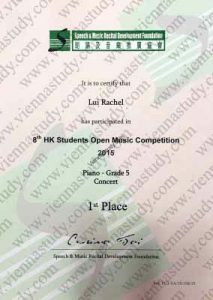 Ms Jinny He received The Best Teacher Award at The HK Music Competition 2016. 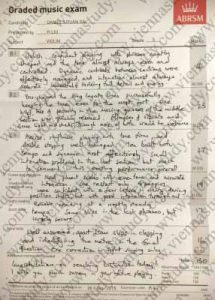 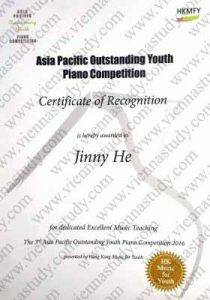 Ms Jinny He has been awarded Certificate of Recognitionat at the 3rd Asia Pacific Outstanding Youth Piano Competition 2016. 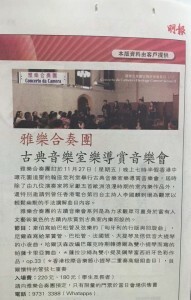 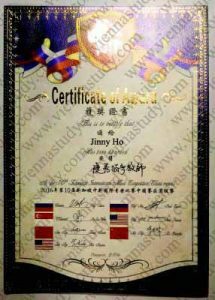 Ms Jinny He received The Best Teacher Award at The 7th HK Teenagers Piano Competition. 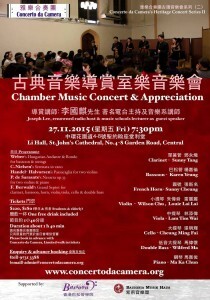 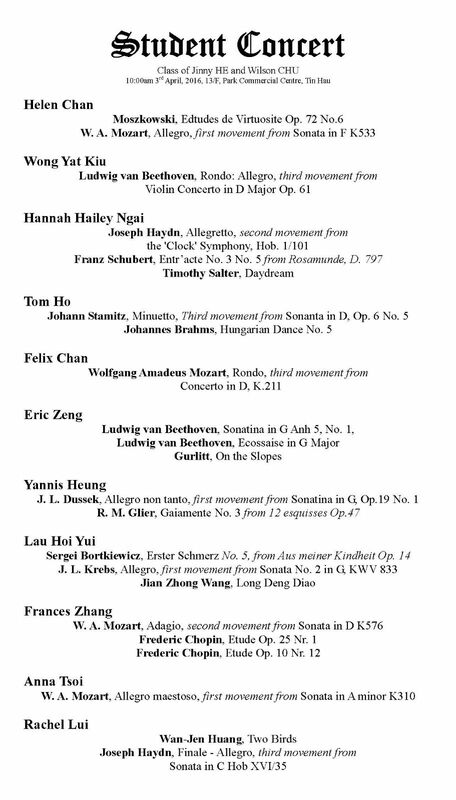 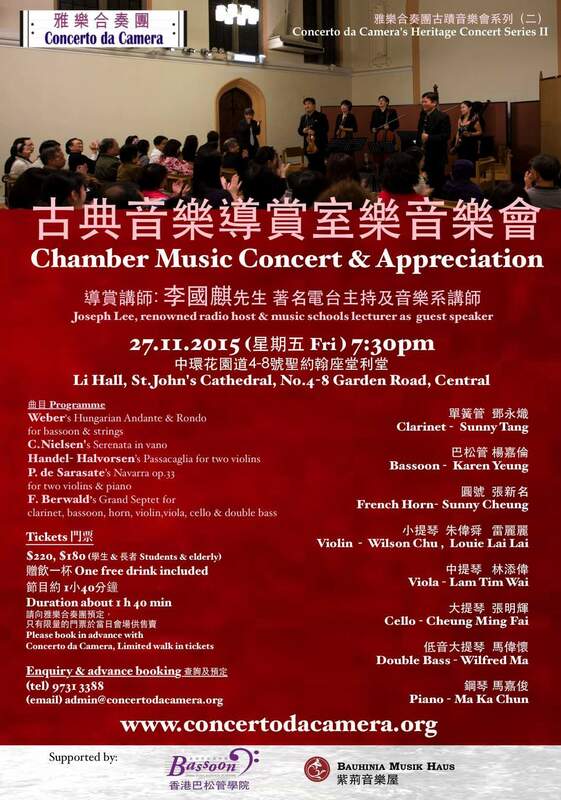 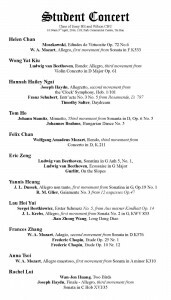 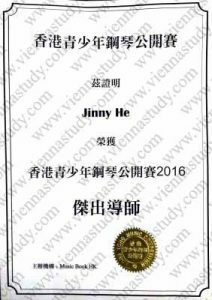 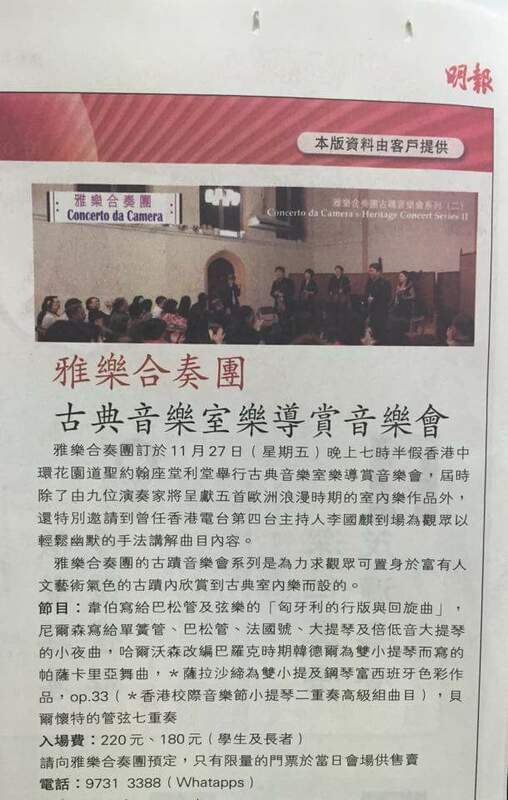 Ms Jinny He has been awarded at the 10th Zhongsin International Music Competition (China region) in Singapore, 2016.